LOL. I feel the same way. I found 1 person in my league and shortly after they found me. It was just dumb luck though. Does anyone know a way to find out the identities of people on this forum? I only found out due to the VERY specific questions they are asking then I gave bad advice to them like 3 times and pushed my luck and they figured me out. 2. FAAB in terms of % budget, not actual dollars. Both make a huge difference to the type of bid required to win a certain player (the more players in a league, the more total FAAB is available for a finite amount of players over the season, so just like the auction itself, player values are inflated compared to smaller leagues). This will also help ground anyone's recommendations, because guys like Ronnie Hillman, Eifert, Terrence Williams, David Johnson, James Jones have long since been picked up in most 10+ team leagues. I agree that this will help the most. Unfortunately, it also brings into specific relief the issues with this thread and how in one afternoon it's already veered into Assistant Coach's territory. After conferring with the Moderating Group, we think this specific thread will work best in the AC Forum and therefore we are moving it there. However, we will pin it for your convenience to see if it will continue to receive the appropriate traffic over the next few weeks. We encourage all of you to continue to post in this thread and now you will be unencumbered with restrictions on league specific queries. Thanks. Do you FAAB veterans try to stream defenses or keep on? I wait till waivers clear and pick up a defense for free early in the season. Just found this thread and glad I did. I went through the first 4 pages and only saw a few mentions of Terrance Williams. I assume it is because he is owned in a lot of leagues. He did slip through the draft cracks in my 10 team league with fairly deep (8 bench spots) rosters. What % do you think would be good to put on him? I am the Dez owner, so I am going to need all the WR help I can get. I will also being going after Moncrief and probably Stevie Johnson, but will probably put the highest percentage on T. Will. I would probably bid %20 of my FAAB for him but it depends how aggressive the other members of your league are with their budgets. How many bench spots do you guys have? I'm in a 12 team league and TW, DJ, and JJ are unowned. FAAB can be tricky because last year I spent the entire budget ($100) in the first two weeks and was unable to pick up anyone the rest of the season. Still finished 3rd after having to do a ton of homework (csb). ESPN standard leagues (and most league formats, I think?) are 7 bench spots. I have a 12 team league with 7 bench spots and a 10 team league with 7 bench + 1 IR. I'd be aggressive and spend up to 20% on either TW or JJ. Not really inspired by DJ enough to think he'll carve out anything beyond a flex-play gamble. lol, we just got moved to the Asst. Coach Forum. This thread is now dead. Any ideas on how much I should bid for Ravens DST? Or should I just risk them being free for a $0 pickup? Even though this was moved over to the AC forum, I still think it would benefit this thread greatly not to have team specific questions here. No one can predict how everyone else in your league will bid. This can be a valuable resource. I'm disappointed it was moved to the AC forum. That said, let's please keep it from becoming a collection of "how much should I bid" questions. Quick dumb question about how waivers and they work in FAAB. I see it says Waiver #1, #2, etc. I am going to assume these process in the order I have set, with #1 being first priority, #2 being second (If #1 fails as I'm dropping the same person in each one of these claims). Assuming that is correct (and correct me if I'm wrong) how do I change the priority? It seems completely determined based on prices I have set forth meaning that I made my 2nd most expensive claim and it was moved to waiver #2, however that is actually my 3rd waiver priority, I just feel that it will take that amount of money (which is more than waiver #3) to get the player. I see you have Chiefs and I think it's a good move to not start Chiefs against Broncos. I'd definitely put down a few Bucks to ensure a good matchup. Probably 2-3%, but I have no idea what it would take honestly. If you think you can get it for $0 then that's awesome because if you bet 3% you have set the tone and the precedent for the remainder of the season. Now people bid 4% next time they see a good defense, next time 5%, but if you can pull it off for $0 you have set a good pace to survive with money in the playoffs. Assuming that is correct how do I change the priority? It's cleverly hidden under 'Edit Waiver Priority' which is directly beneath your scheduled waivers. I seriously don't have that. EDIT: I didn't have that because I had 3 different waiver claims for 3 different prices. Once I made a 4th one to one of the same prices as the previous 3 I got that. Thanks for the picture, using that I was able to piece it together. Thank you. EDIT 2: And it's trash. Price determines order. Waiver 1 and 2 were locked in based on price, I made waiver 4 the same price as waiver 3 and I can only change the order of claims 3 and 4. DUMB. For those who lost Dez Bryant in FAAB leagues (I'm included here)... how are you approaching this first waiver? 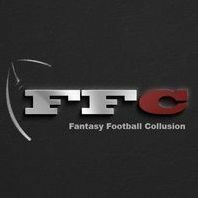 How much does losing Dez increase your urgency to pick up the best WRs this week and what percentage are you willing to spend? Are you going after multiple guys in case you miss on one? I'm not one of those. I haven't done this before but I don't want to leave you out to dry. I put a claim on Cole Beasley though. 5% of my budget. Not sure it will be enough though. I am pretty stacked at WR though and don't care if I get him I just see more value in him than the guy at the end of my bench. If I HAD to have him cause my WRs sucked, I'd definitely bid more than my arbitrary 5% though. And yes... I am going after multiple guys that have more value than the guy at the end of my bench. That said, let's please keep it from becoming a collection of "how much should I bid" questions. Source: First post of this thread.